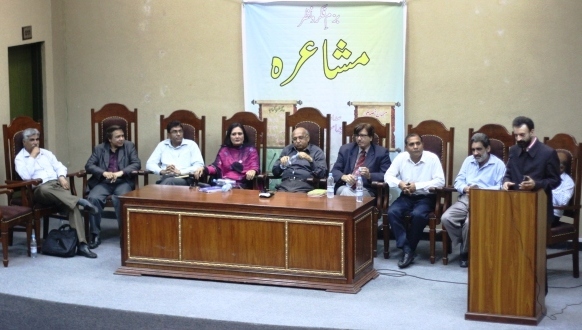 Bazm-e-Fikr-o-Nazr held a Mehfil-e-Mushaira on 31 March 2014. 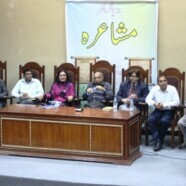 A large number of prominent poets participated in the event, including Amjad Islam Amjad, Baqi Ahmed Puri, Jawaz Jafri, Saad Ullah Shah, Farhat Abbas Shah, Sughra Sadaf, Dr Ghafir Shehzad, Raja Nayyer, Shafeeq Ahmed., Akhtar Shumar, and Dr Tahir. Many students and teachers also attended the mushaira. Arslan Yousaf, Rao Muhammad Umer and Shaoor, all students at FCC, presented their poetry.